Just a warning that this whole mess is completely out of hand and I will be deleting posts from tech and rpodcamper. The reason for these deletions is quite clear. There will be no promotion of dealer sites in this forum which tech and rpodcamper seem to know and have ignored. This forum is for those that own an R-pod or are looking for information from the community of Owners here. The posts that were made are clearly peddling the Rpod Owner forum and Doug's new MPG dealer site. Bottom line here: everyone who is part of both sites. If you post any advertisement with any url for the MPG site or the Rpod owner forum it will be deleted, not because I want to....because I DO NOT have the time to babysit any of your posts. Discuss competition, post sites with pictures, just do not do dealer sites. You will not use the integrity of this forum and its members to better your website, your forum, or anything pertaining to selling campers. Look Elsewhere. I will start deleting members after this warning. I sincerely hope I do not have to mention this again. For everyone not directly involved in this I sincerely apologize if you have to read this. I would like to clarify something. I understand no links to dealers but would it be ok to post links to a manufacturers website such as Forrest River, Coachman, Monaco....etc? I understand that while Couch's created this forum, they do not use it to advertise their dealership or post links to their website on this forum so it makes sense that they would not want someone posting a link to another dealer site. I understand that you are busy and that is why you asked for moderators. The rules to the forum are there for everyone to read. And, the rules (that have been up and posted long before I was here) clearly say NO DEALER advertisements. And, it also says that the forum reserves the right to delete posts that violate the rules. I have actually only been around since September or so. But, Ted and I drove to Couch's to get our R-Pod and Jeff told me that they created the forum for the owners. I really think they would prefer that they stay in the backround and let the forum run itself. And, I think, if everyone just followed the rules and showed a little more RESPECT, then they would. I know that most of us are just tired of all the shenanigans of just a few people. Its very simple. Respect both sites. Most of us want to just talk about R-Pods. We don't care about who sells them or who is selling a competitor travel trailor. We like knowing about other RV manufacturers and what they are coming out with, but we really are sick of the turmoil being created by a handful of people and wish they would just stop disrespecting this site. 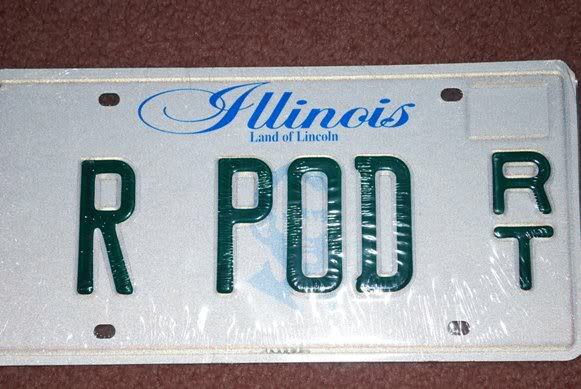 The internet is a huge place..there is plenty of room in it for more then one R-Pod forum. Well said! Thank you, now let's just have some fun. I really have way to much to say concerning this issue to keep this short and "real" like Cindy did. If you've seen some of my posts, you'd know what I mean, so get comfortable or just ignore it !!! I don't know, & don't care, if your getting paid for this or not, but if you are, it isn't enough !!! Thank-you for your time spent keeping this up & going, and helping to keep this family together. You were a great choice !!! Im flattered to be a moderator here. There are many qualified members. We have been given a gift. A place to meet and share information, opinions, ideas, or just keep intouch with those that have a simular interest as we do, in this case the r-Pod. We sometimes realize that we have alot in common on a number of levels, thus finding "friends" we never knew we had. A place to meet and enjoy each other, and what has brought us to this place, the r-Pod. Kewl, huh ? 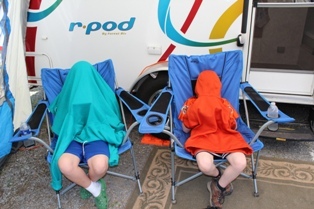 This place, r-Pod Nation, is operated and maintained by RVNation for r-Pod owners and those interested in the r-Pod experience. Being a business they adhere to certain guide-lines to operate & maintain this forum. They must have guidelines, even if those are created by the owner, inplace to assure seemless, reliable, day to day operation. All members should indulge themselves to read these requirements. They are, after all, there to benefit all members. All members have agreed to them. Admin will delete posts which they determine has violated the guide-lines. Please read "WELCOME AND RULES" to fully understand these guide-lines. If you have questions, please inquire. I consider all members my friend. I have always felt "welcome" here. I am a member of several forums, dealing with Music to Camping, even one very much like this one. Any forum I join I read the "rules" and try to adhere, and as long as I do, Im usually welcome anytime. The internet is infinite, there is plenty of room for everyone. Thank you expressing what I wanted to say!!! I, too, am so thankful that I found this site. Had I not found it, I would not be getting my little Pod soon. I also would not have met the wonderful people who are on this forum. There are a handful of us who are vocal on here. We need the input of the many who read and don't comment. Tell us your experiences. Thank you...now maybe we can get back to podin'. 2010 RP-172 R-Pod "Rose Pod"
How old would you be, if you didn't know how old you are?? Well said. Now, for another thought. Why are you still allowing span posters such as nihaoqq111 continue to waste the resource that your company have so thoughtfully provided. Surely this person has nothing to contribute. Is it in your purview to block this poster? And if so, why have you not?